The London Hong Kong Dragon Boat Festival attracts up to 10,000 people throughout the day, with the spectacular action on the water provided by up to 40 competing club, corporate and amateur teams battling it out for 4 cups. On dry land, the free, family-friendly day-out also features a food festival representing the tastes of South East Asia, live music on the East West Festival stage showcasing new artists from the East and West, martial arts displays, and traditional Chinese lion dancing. Everyone is encouraged to participate – seasoned rowers to beginners alike. Teams from companies, organisations, and community groups, all take part in a fantastic showcase for what is one of Britain’s fastest growing water sports. 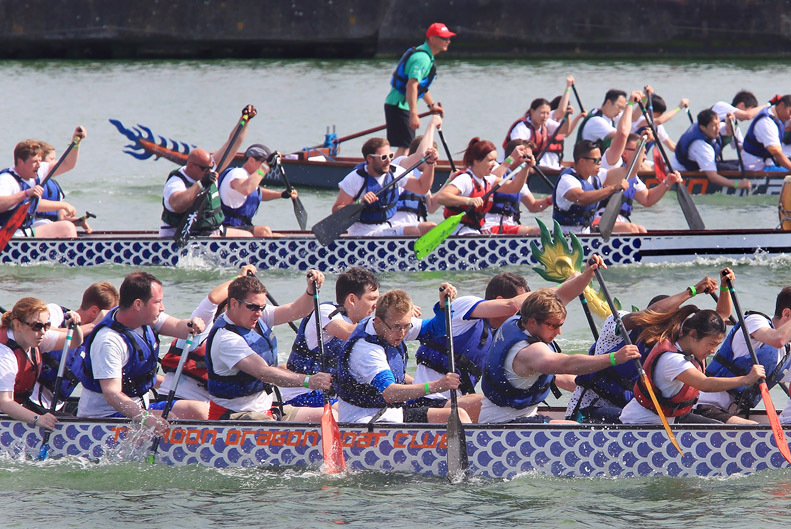 Race registration and information on team sponsorship packages can be found via: www.dragonboatfestival.co.uk.